37025 Inverness TMD passes Bourton on 3 November 2016 with the 1Z78 06:48 Bristol Temple Meads to Tyseley Network Rail test train, with 37421 on the rear. 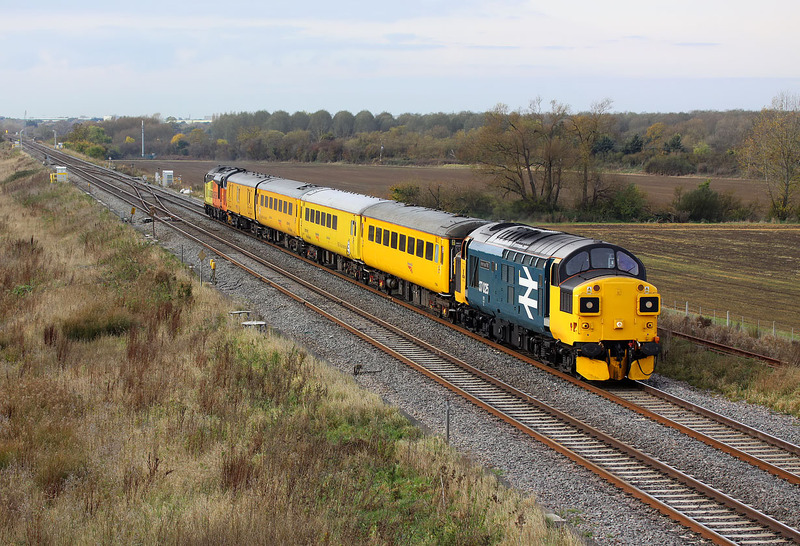 Unfortunately this was held at Swindon while a succession of trains passed Bourton in weak autumn sunshine. Then of course when the sun had disappeared it was let out the loop, and passed me and the one other photographer in what can only be described as cloudy bright conditions, now running an hour behind schedule.